Hundreds of new patterns - this time with charts! The patterns are mostly original designs by Barbara Walker, some of them knitted by unusual methods that combine standard knitting techniques to create new types of fabrics. Also includes extensive chapters on Textured Fabrics, Twist Stitch Patterns, Cables, Lace, Mosaic and Color, plus a useful section entitled “How to Read Charts” and an accompanying complete list of symbols. Softcover. 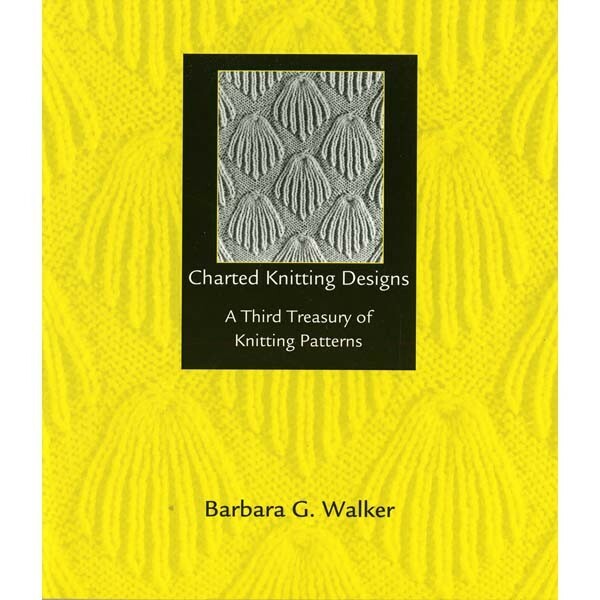 Charted Knitting Designs may also be purchased as part of the Treasury with a 10% discount on all four titles.